Fundraiser by Gmpis Sofala : Ciclone IDAI - Messed with one, messed with all! Please support us before 20th of april which is the deadline of our campaign! We are experiencing the upmost catastrophy in our history. We are a feminist group based on solidarity and we count on your solidarity. We are the Sofala Women’s Group for Sharing Ideas - GMPIS (Grupo de Mulheres de Partilha de Ideias de Sofala) in Mozambique. Existing since 2014, we are a feminist network of community based associations, connected with the Worldwide Women’s March. We are smallholder farmers/peasant women, informal sector workers, women living with HIV, teachers, mid-wifes, lesbians, leaders of women’s associations in various communities affected by the cyclone. We confirm the studies saying that women and children are the most affected in natural disaster. Our situation is very difficult, we are facing immense materials, physical and psycho-emotional damages. The cyclone phenomena continues to threaten our lives. Your support will go to affected women and their families via our associations. Your solidarity funds will be directed to GMPIS’ 29 associations working in affected communities. Funds management will be done by the network’s coordination committee presenting accountability and disaster update reports on the GMPIS Facebook page and on this platform. The funds will be received by ADS, a member organization of GMPIS that is administrating the groups funds. For administrative reasons, the GoFundMe account was opened by a GMPIS activist. The donations from the GoFundMe platform will be transferred to Heike Friedhoffs bank account, a member of the GMPIS. She will transfer the funds immediately to the mozambican account of ADS. That was the most suitable way we found, as it is not possible to register a mozambican organization on the GoFundMe platform. 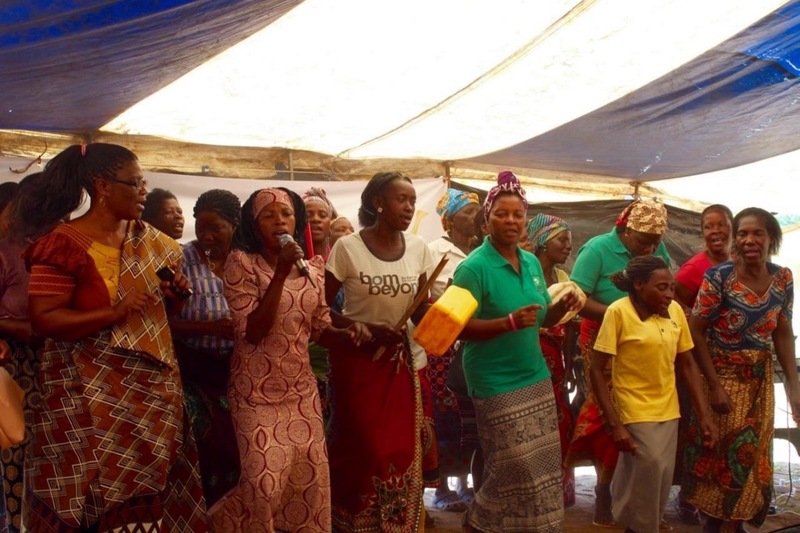 On April 5, around 50 women from GMPIS - Women's Group of Sofala Sharing Ideas and the World Women´s March/MMM from Mozambique met in an Assembly, in the city of Beira, with the objective of contributing to the definition of priority actions in the process of rebuilding their homes, communities, neighborhoods, as well as the economic and social infrastructure. The debates focused on three issues: to know what is going on in the lives of women after the passage of Cyclone Idai; what they are doing individually for recovery and their claims to government. 1 About the mapping: women want that all women, including those with some kind of disability, to be identified in the mapping. They propose that women should be the leaders in the strategy for mapping, since they are the ones who best know the needs of families. 2. After the mapping: that part of the donation funds received by INGC are allocated to open (seasonal) emergency jobs eg city cleanups and rehabilitation. And that 75% of these places can be occupied by women. That there is commitment to monitor the reconstruction that results from the remunerations of this job. 3 Provisional feeding system per family: that together with monthly food kits are introduced: eg 3 kg of cereals per month per person, 0.5 kg of sugar per person, and successively for other products during a period to be determined as such as for 3 months. 4 Ensuring support for emergency response teams: professionals working in these teams - doctors, nurses, police officers, teachers - have been affected like everyone else by the ciclone: they have lost their personal assets and work equipment and, at the moment, they have the task of ensuring the care to recover, to restore the human being so that this human being continues to be useful for society. Women are asking for psychological support for this group and food kits and housing reconstruction. 5 Reconstruction of infrastructure and city: women demand that the city will be rebuilt observing recommendations for resilience to climate change, because studies indicate that Mozambique is vulnerable to climate change and the city of Beira is below sea level; by such, its vulnerability becomes even greater. 6 Families who have lost all or part of their housing: women are asking for urgency in support owith building materials for families who have lost homes or roofs. 7 Hygiene Kits for people in accomodation centers: Women who are in accommodation centers need a specific hygiene care kits (sanitary towles, soap, dietary attention for those who breastfeed, elderly and disabled women). 8 Combating violence against women: As a matter of urgency, women are asking the government and municipality to conduct a statistical survey to determine the level of violence that has occurred with women resulting from the cyclone. 9 Support for economic empowerment: women urgently demand the distribution of agricultural inputs, and support for subsidies to restore their means of economic empowerment (aviaries, stands and their products); a government intervention for those who lost their products of commercialization and had accounts to pay for their stands. 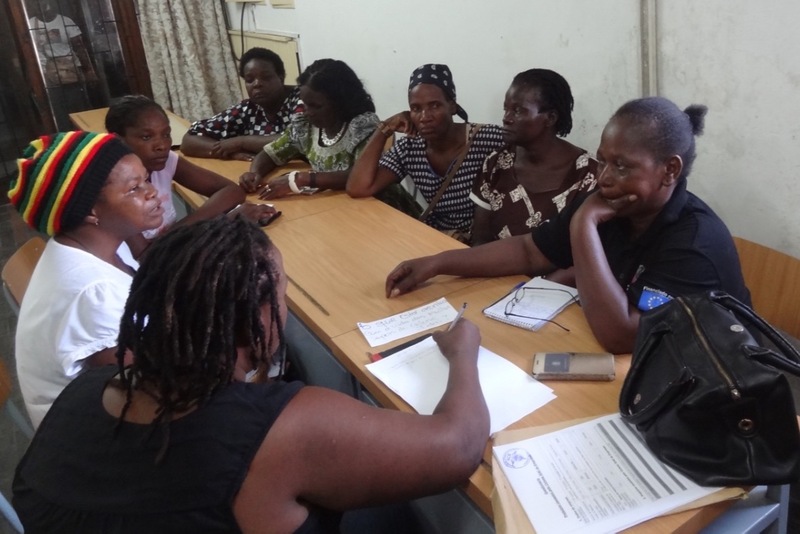 10 Women's participation in decision-making: that women be integrated into the emergency decision-making committees set up in the city of Beira and the continuation of dialogue on the emergency and recovery process. The women's movement in the central region of Mozambique MMM and women's groups sharing ideias of the South and the North constituted a women's committee that could interact with the government and municipalities to continue contributing to the emergency and recovery as well as monitoring. This commission is formed by Maria de Fátima Tornecene, Benedita Amaral, Inês Chefinha, Linda Sidumo, Isabel Sebastião, Antónia Teixeira and Bendita Mboe and will be led by Inês Chefinha (829919608) and Maria de Fatima Tornecene (848005377). 1. The money in USD/Euros donated by friends and acquaintances into the bank accounts of the campaign team will be destined to buying bus and plane tickets for GMPIS leadership to organise meetings, assemblies, delivery of donations and monitor the management of the donations. a. 20th April end of mobilisation through GoFundMe. b. 30th April end of mobilisation of autonomous and institutional donations. c. By the 30th April finalisation of the women’s needs assessment which will be done by activists trained for that purpose. A commission of 5 to 10 women elected by each association or group of associations will analyse the assessment results and prioritise the donations, based on the funds available and the needs expressed by the most vulnerable women. d. By the 3rd May produce information about all resources mobilised and distribution to the three provinces. e. The resources mobilised will be delivered by the leadership of the association/group of association of the province together with a GMPIS representative. Women and girls will confirm that they received the donation by signing a document or having their photo and story recorded in video. f. The delivery of donations will be registered with the following information: name of the person who received, age, I.D number (if they possess), description of the goods received and mobile phone number. 3. The total amount mobilised through different means, such as bank transfer, cash paid in into a bank account, cash or the GoFundMe platform will be announced in the GMPIS Facebook page. 4. All work done has been voluntary and unpaid. None of the people, associations and organisations involved in the solidarity campaign has received money, perdiem or any other kind of compensation for working in this campaign. 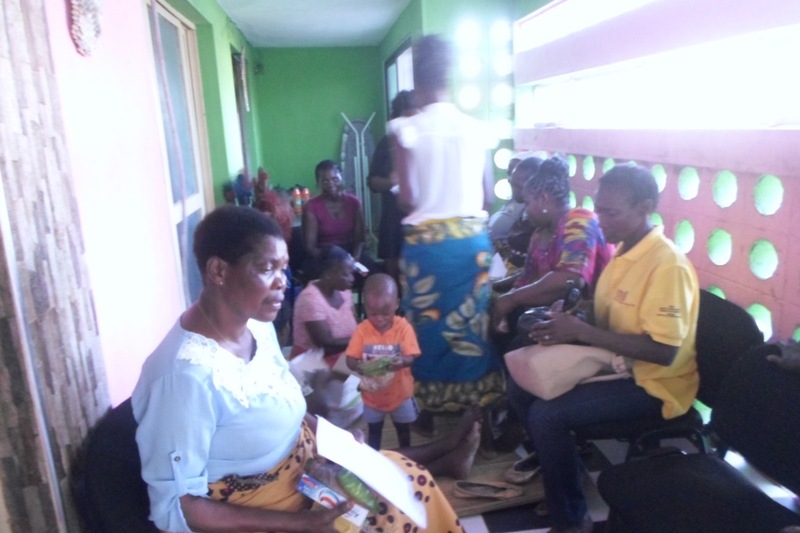 One of the agenda items of the meeting of the 28th of April was the management and use of the resources mobilised through the “Campaign Messed with one Messed with All”, organised by Mozambican and expatriate women residing in the country. Given that Sofala (in central Mozambique) was the most affected province, the women agreed that the money should be distributed in the following way: 50% destined to women residing in Sofala, including women with disabilities and girls; 25% to women residing in Manica and the remaining 25% to women residing in Tete. The participants in the meeting estimated the women’s needs and defined priorities. In Sofala, 35% of the money will be destined to reconstruction of houses; 5% for buying agricultural inputs; 5% to support school girls and 5% to a Women’s Economic Empowerment Fund. In Manica, 20% of the money will be used to support girls; 10% to reconstruction of houses and 10% to buying agricultural inputs. In Tete, all the money will spent of agricultural inputs. These priorities may be revised in the light of the needs expressed by other affected women during the assessment. Concerning the amount pay into the group’s national bank account, this will be used to buy food for women with children and elderly women who have lost their houses and are not receiving support or school materials. Besides, support will be provided for continuous assessment of women’s needs, through provision of a mobile phone worth 5.500MZN and top-up of 3.600 MZN to a few women responsible for this activity. The mobile phone will allow them to document how the aftermath of the cyclone, register their work and maintain communication with GMPIS. The assessment team will also have a budget of 4.000MZN for water and of 6.000MZN for transport costs. More news will follow in our next informative note! Dear supporters, please find here an update of our actions! 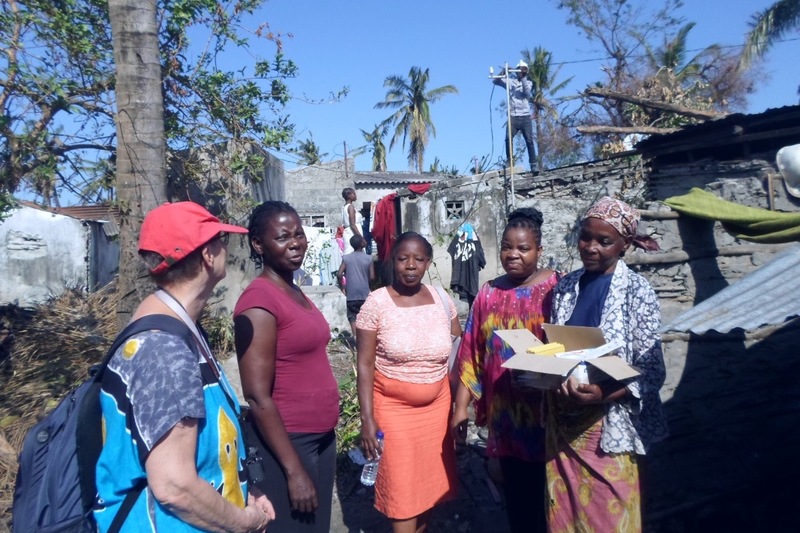 On the 28th March, representatives of the Grupo de Mulheres de Partilha de Ideias (GMPIS), Women’s Group for Sharing Ideas from the southern and northern regions of Mozambique, travelled by road to the city of Beira to assess the damage caused by Cyclone Idai. 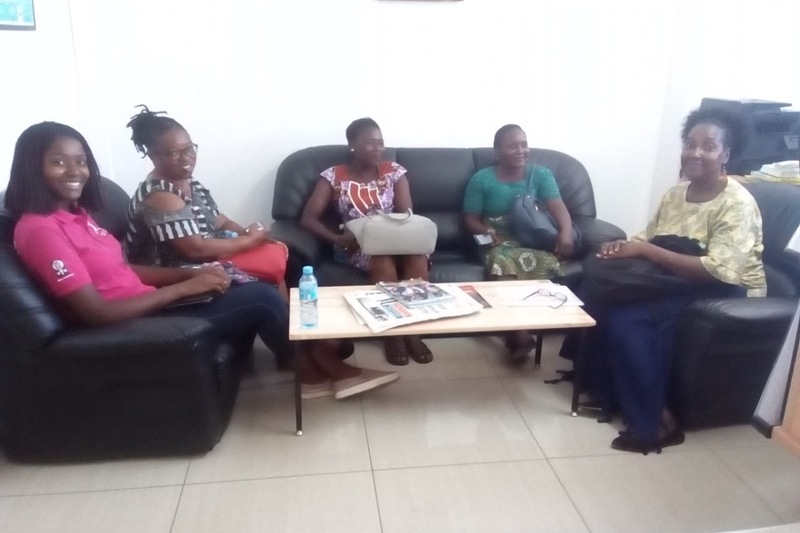 The group included women from the provinces of Tete, Manica (GMPIS-Centre), Gaza (GMPIS-South); one from Niassa (GMPIS-North), eight women from the GMPIS-Sofala; Emma, an Austrian friend and support that was in Beira at the time, and Carlota Inhamussua of the GMPIS-Centre, World March of Women (Centre) and team member of the campaign Messed with one Messed with All. Between hugs and gestures of solidarity, the women shared stories about Cyclone Idai. 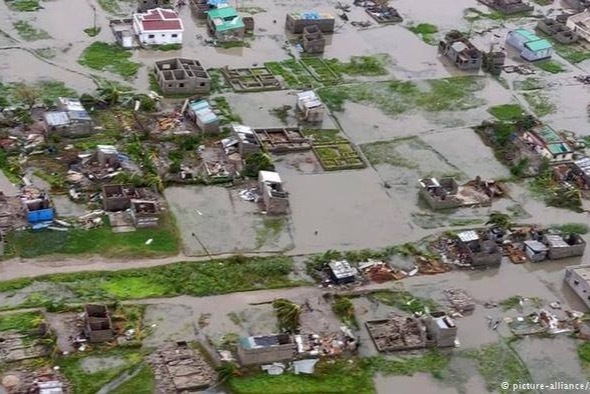 The most touching testimony was from a GMPIS member from the Buzi district, who said: “there were simultaneous shocks: the cyclone of the 14th March and, the floods in the following day”, and continued: “I came to Beira, but all my belongings were taken by the waters. I don’t know how to return to Buzi”. This woman has not yet received any support, because she is not in one of the relief camps that have been set-up. On the occasion, the women identified a serious problem: while women in the relief camps are receiving support, even though with huge restrictions as men are grabbing everything, there is no support for those who have decided to stay under the rubble in their own yard. 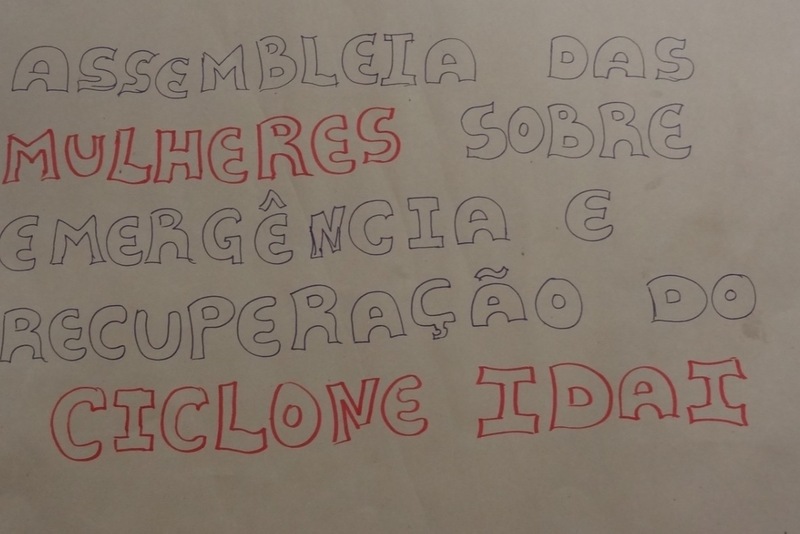 To address this problem, the group of activists organised an assembly of women about emergency and reconstruction; an advocacy initiative aimed at denouncing an inadequate emergency response that neglects women’s needs and priorities and discuss ideas and proposals for the reconstruction of the city of Beira as well as of affected districts and communities. The assembly took place on Friday, 5th April, in the city of Beira. More news about this event will be provided in our next informative note. Until then!